During a few days in CERN, students met with Georgian and foreign scientists, got acquainted with the latest technologies, new findings and important projects that CERN scientists are currently working on. The visit to CERN started with a lecture. During the lecture, the students received full information about what the main purpose of CERN is, which is the fundamental research in high energy physics, innovations, education and sharing of experience. 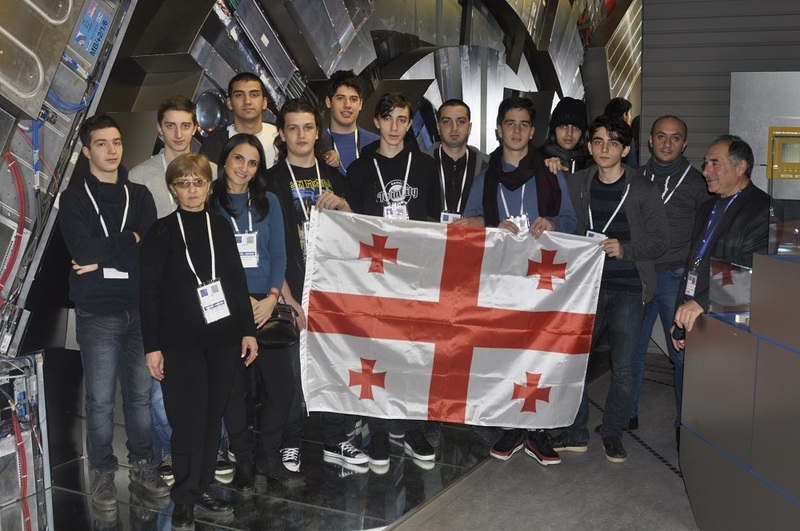 On the same day students viewed the famous "Globe" exhibition and got acquainted with Georgian scientist’s - Alexander Mestvirishvili's CMS experiment, which was scientifically held for the Georgian delegation at the depth of 90 meters. The CMS Experiment is one of the three major experiments on the Great Hadron Collider. Visit to CERN is initiated by the Ministry of Education, Science, Culture and Sport of Georgia, aimed at attracting younger generation to the fundamentals of research, engineering, IT technologies and mathematics.